This depicts an adit from the historic Hector-Calumet Mine, the largest deposit within the Keno Hill Silver Camp, one of the richest Ag-Pb-Zn vein deposits ever mined & one of the mainstays of the Yukon economy from the 1920's. 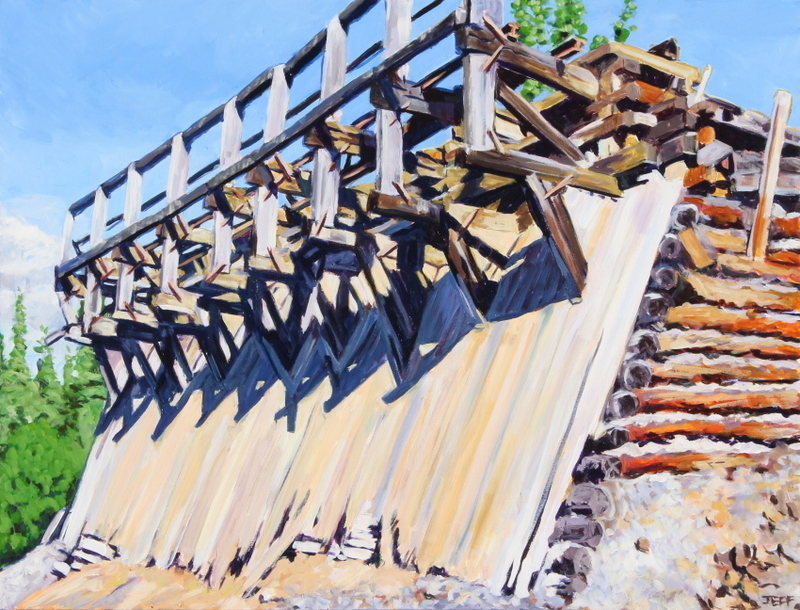 This depicts an old mine car in the 700 Mine area, which was worked until 1978 outside Keno City, Yukon. This car is a real well-known landmark in Keno, and a common subject for photos. The Keno Hill mining district is set in a truly grand landscape. 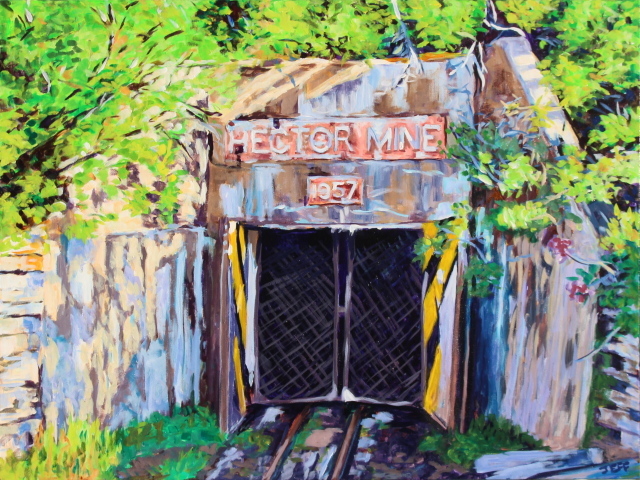 This piece depicts the view from below the Hector mine adit beside aerial tramway & tailings pile looking across the spectacular McQuesten Valley. This depicts a series of old mine cars in the Husky SW Mine area on the edge of the McQuesten flats, one of the last mines to be worked across the Keno Hill district in Yukon, closing in the late 80s. Husky & Husky SW were amongst the youngest mines in the Keno Hill District, discovered by overburden drilling in the 60s, and operating the 70s & 80s. The headframes are still in pretty good condition, and provide a remarkable window into the mining heritage of the district. Loadouts are a common feature in mining operations & this example is from the Ruby mine in Keno Hill, Yukon Territory. . Log-built examples are very rare these days, and are a prominent part of the built environment around Keno. This depicts the spectacular view looking west along the South McQuesten Valley towards Mt Haldane on the horizon. The South McQuesten River runs through the valley north of Keno Hill, Yukon Territory.